Injured In An Accident Involving A Company Car – Can You Recover Damages? Each day, thousands of employees in and around Miami use and operate employer-provided vehicles to conduct business and complete key tasks and assignments (e.g., tractor-trailer operators, cab drivers, delivery truck drivers, etc.). So, what happens if you are hurt in an accident where the reckless driver who hit you does not own the company vehicle. Can you still seek to recover damages through a personal injury claim? Under Florida law, the answer is generally, yes. An employer can be held liable for the negligent harms inflicted by an employee if those harms occur within the scope of the employee’s work duties. This liability extends to the employer through a legal doctrine known as respondeat superior. In effect, the employee is an extension of the employer when they are operating a company-owned vehicle and engaged in work-related tasks. Many companies try to circumvent liability in these cases by asserting the employee was not operating within their scope of employment when the collision occurred. They may try to find evidence that the employee was using the company vehicle to run a personal errand or was operating the vehicle outside regular work hours. The policy for using the company vehicle that was in place when the wreck occurred. Do not be surprised if an employer rebuffs any efforts to resolve an injury claim involving a negligent employee via settlement. Employers are often willing to litigate these claims, especially if the financial restitution sought is large due to the fact that the claimant suffered a debilitating bodily injury like a head wound, spinal cord damage, nerve damage, broken bones, and/or torn ligaments. 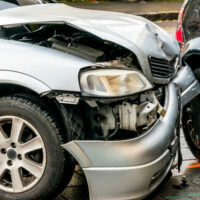 This is why it makes sense to hire an experienced and skilled Miami auto accident lawyer to fight for you. Lawyers are ready and prepared to hold a negligent employer accountable and will take immediate action to investigate the collision, obtain vital evidence, and file the necessary legal paperwork. In most cases, your lawyer can file a claim with the employer’s insurance company and deal with a claims adjuster rather than dealing with a supervisor or manager within the actual company. This can oftentimes help expedite the settlement process. Do not delay in taking legal action. There is a statute of limitations that applies to all civil actions in Florida and across the country. Waiting to hire an attorney only exposes you to the risk of missing this important statutory deadline. Contact the experienced Miami car accident attorneys at the office of Alan Goldfarb, P.A. today to schedule a free case review.